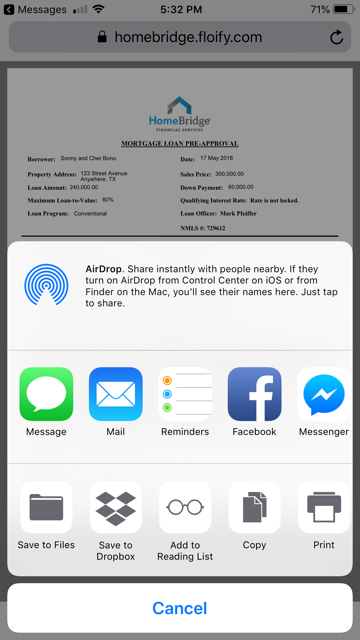 As a Real Estate agent, you know how important it is to be able to produce a Pre-Approval letter on the go. 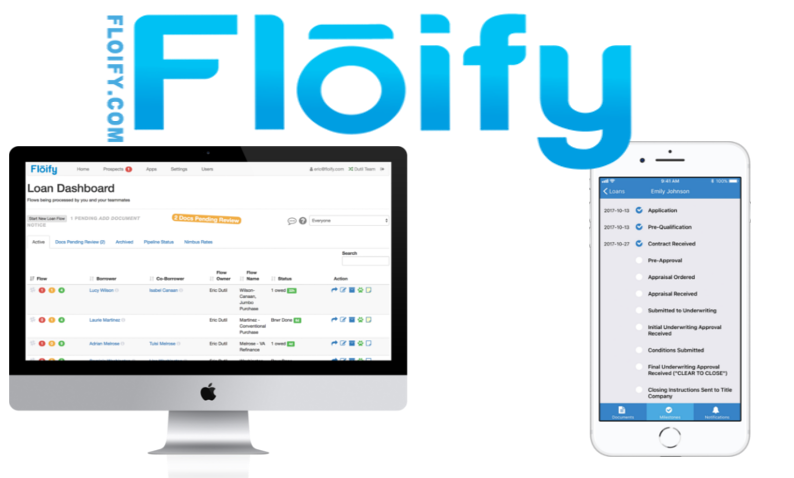 With Floify, we’ve got just the program you need to be able to do just that. 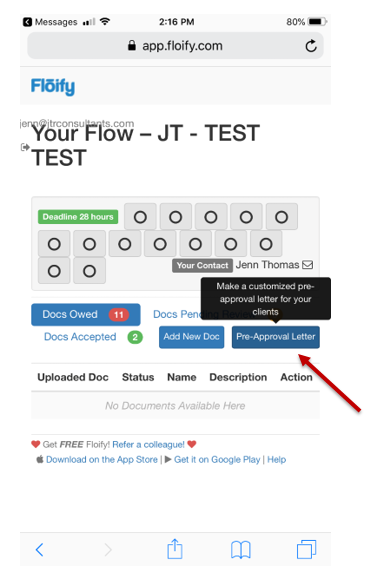 How to create a Pre-Approval letter in Floify from your PC or mobile device. 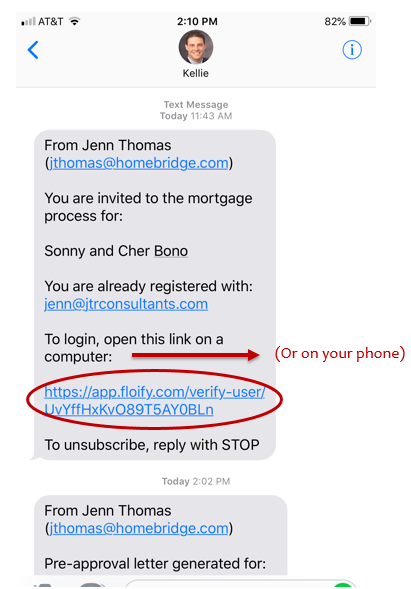 Once a Floify account has been created for a client and you’ve been selected as the Real Estate Agent/Partner, you will receive an email and a text notifying you that you’ve been added to that client’s mortgage flow. Below, you will find the step-by-step instructions on how to create a Pre-Approval letter in Floify from your PC or mobile device. 1. 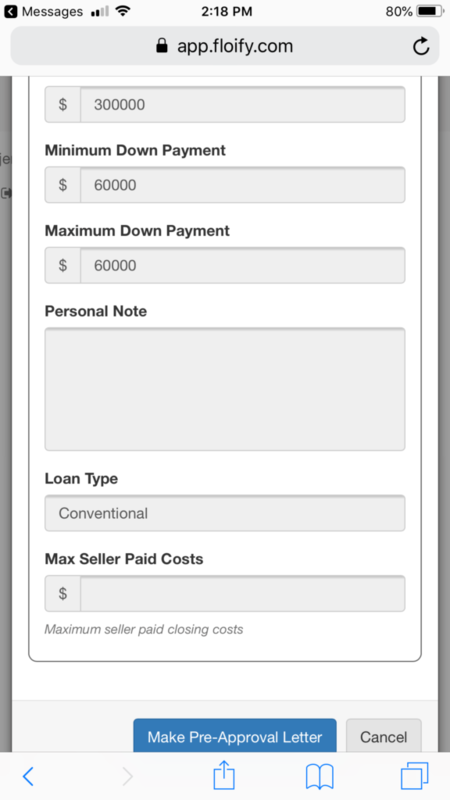 To start observing the mortgage process, log in to your Floify account. 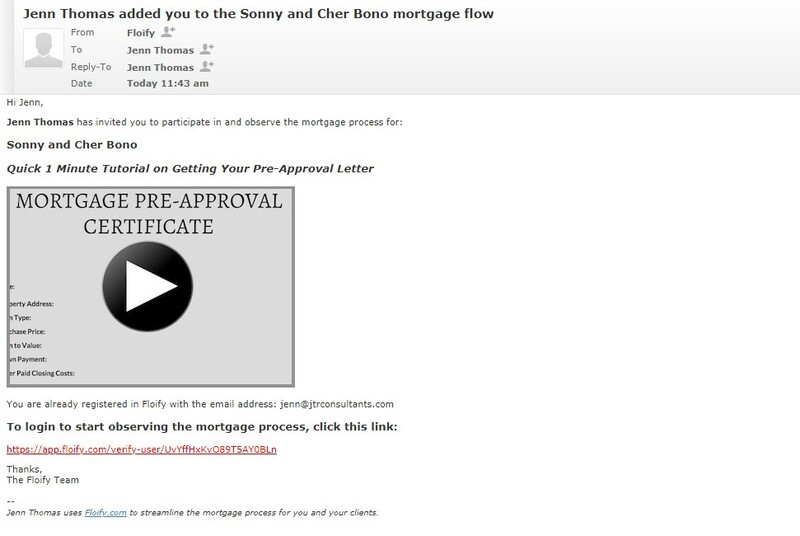 Once you receive an email notifying you that you’ve been added to a client’s mortgage flow, click on the link in red to start the process. If it is your first time, it will prompt you to create a password. Your email address is your username. To begin, click the “Pre-Approval Letter” button found in the top right corner. You will be directed to a blank form. 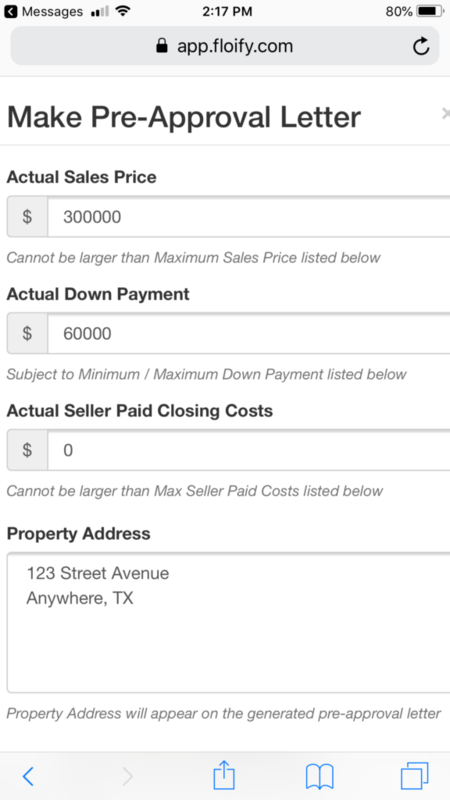 Fill in the necessary information – actual sales price, actual down payment, etc. 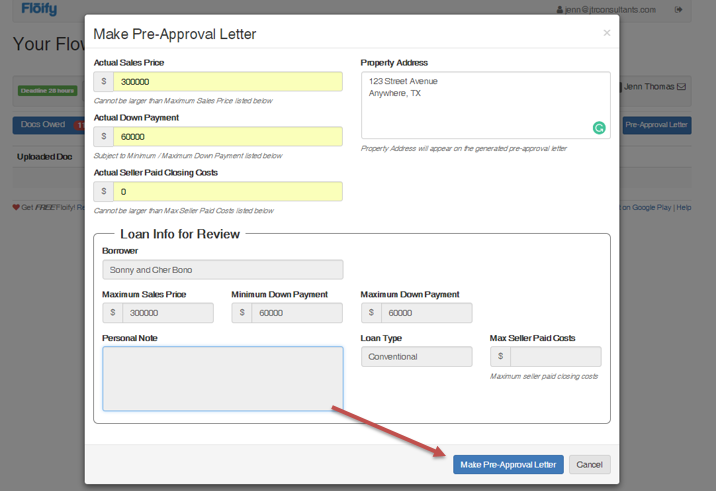 When finished, select the “Make Pre-Approval Letter” at the bottom of the form. 3. 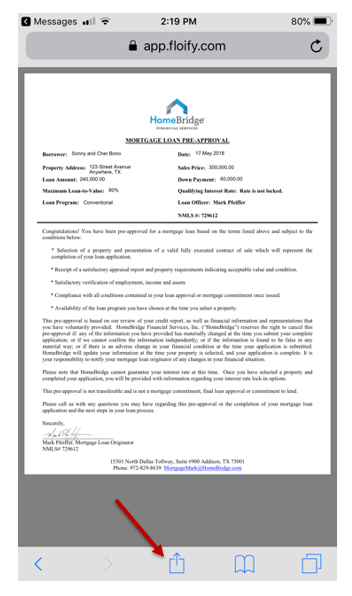 View and/or download the Pre-Approval letter. To view the Pre-Approval letter, click on the eye. 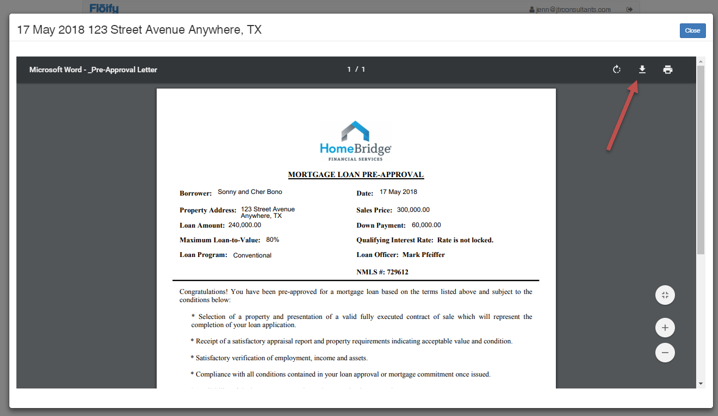 To download the Pre-Approval letter so you can email it to your client, click on the downward arrow. 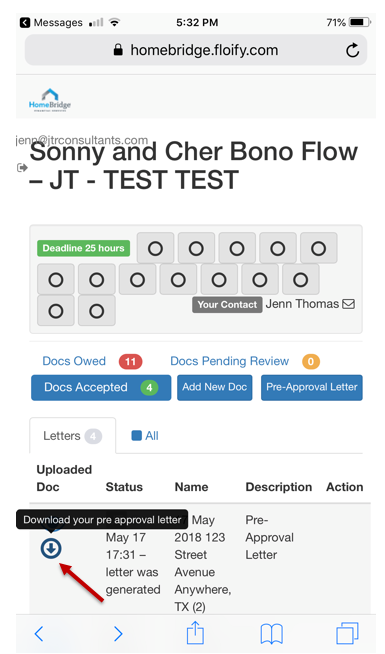 How to create a Pre-Approval letter on your mobile device. 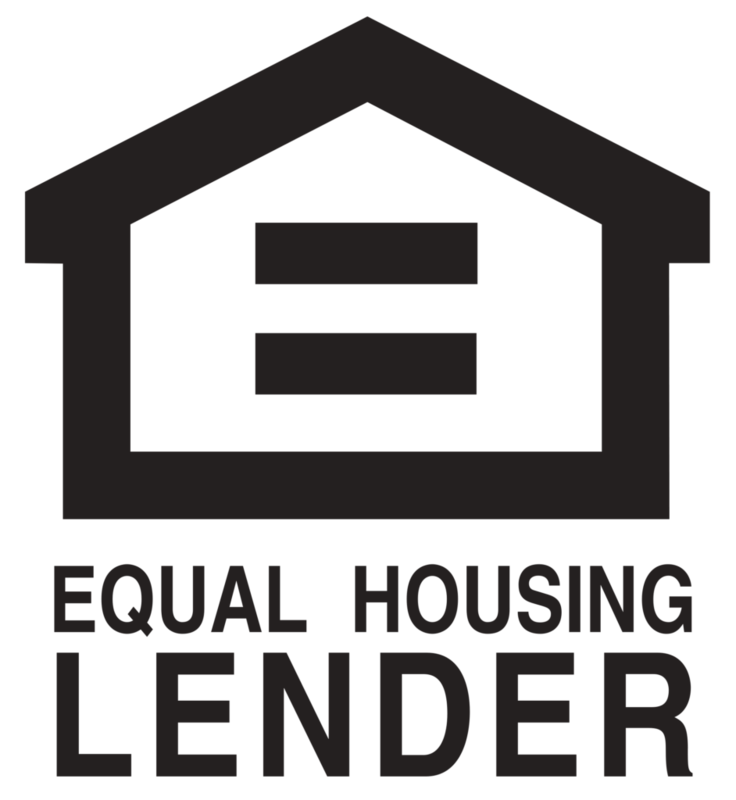 Once you receive a text notifying you that you’ve been added to a client’s mortgage flow, click on the link provided to start the process. If it is your first time, it will prompt you to create a password. Your email address is your username. 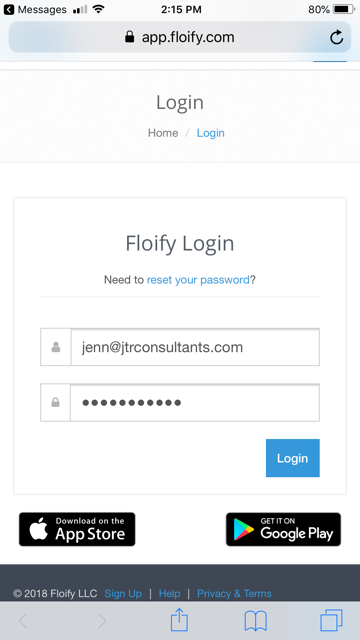 If you are a returning user, you will enter your username and password to log in. To begin, click the blue “Pre-Approval Letter” button. To view the Pre-Approval letter, click on the eye icon. 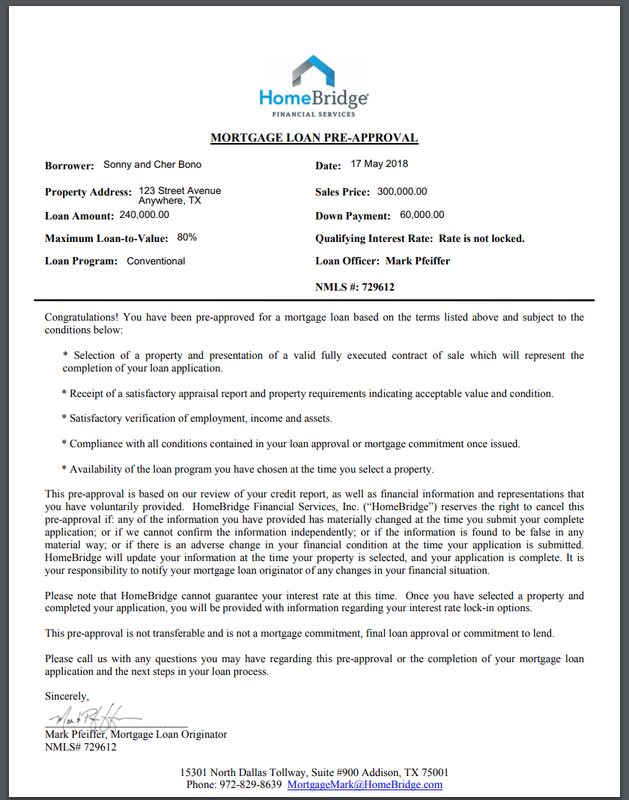 To download the Pre-Approval letter, click on the downward arrow. 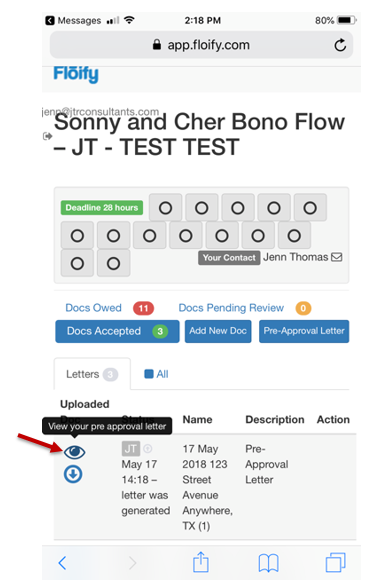 To text or email the Pre-Approval letter to your client, select the download/upload icon on your mobile device and follow the appropriate prompts.